JCE is excited to host a wine tasting led by Master Sommelier Roger Dagorn! For 16 years Roger was Master Sommelier at the famed Chanterelle, where his sensational and innovative wine pairings led to his famous sold-out wine dinners. A winner of numerous awards, he has also been a long time Adjunct Professor of Wine Education for New York College Technology (CUNY) and has conducted countless lectures at The International Culinary Center in Manhattan for the Master Sommelier Program. Five wines, generously provided by Janet Gallichio Jacobsen of V2 Wine Group, will be paired with cheeses chosen by Tess McNamara, Director of Retail and Operations, and Stephanie Moshier, Head Cheesemonger and Assistant Buyer, of Lucy’s Whey. All proceeds from this event will go toward our 10th Anniversary presentation of the New York Jazz Choreography Project on October 28th and 29th. Space is limited, so please reserve your spot soon! 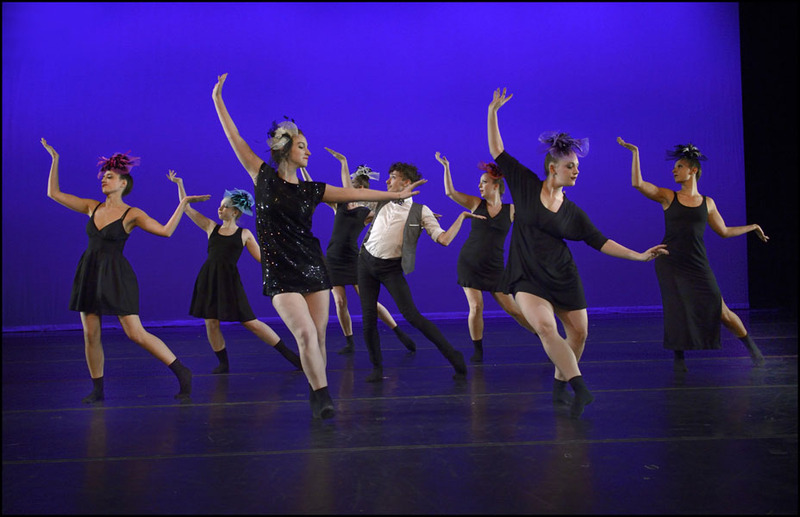 Contact Marian Hyun at marian@jazzchoreographyenterprises.org. If you can’t attend, please consider making a donation to Jazz Choreography Enterprises, a 501(c)(3) organization. Born in France, Dagorn first developed a taste for wine through his father – a chef/restaurant owner who ran some of the first regular winemaker dinners in the city. Eager to pursue his own career, Dagorn took professional wine courses and became the sommelier at the acclaimed Maurice Restaurant in the Parker-Meridien Hotel for eight years. He then plied his gifted palate for 16 years as Master Sommelier at the famed Chanterelle, where his sensational and innovative wine pairings led to his famous sold-out wine dinners. In 2009, Dagorn became the Wine Director of Porter House. Following this, he was Beverage Director of One Five Hospitality, which included Tocqueville, 15 East, The Fourth, Botequim and Singl Bar Lounge. While working in the restaurant scene, Dagorn has also been a long time Adjunct Professor of Wine Education for New York College Technology (CUNY) and has conducted countless lectures at The International Culinary Center in Manhattan for the Master Sommelier Program. In his spare time, Dagorn is an avid world traveler, studying, competing and judging in many different wine events. With personal invitations from exclusive wine trade organizations, Dagorn has had the honor of experiencing rare wines and foods from all over the word. He represented the United States as a contestant in the international Concours Mondial Des Sommeliers VI and served as a judge at the Courcours VIII in Japan. And in 1996, the James Beard Foundation topped off his achievements with their Outstanding Wine Service Award. 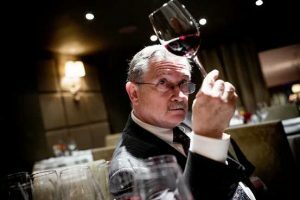 In both 1987 and 1988, he was the first runner up the national finals of the Best Sommelier of French Wine and Spirits. In 1991, Chefs in America honored him as Best Sommelier in New York; only a few years later, the New York Press bestowed the same recognition. In 1996, the James Beard Foundation topped off his achievements with their Outstanding Wine Service Award. Along with being one of about 200 Master Sommeliers globally, in 2008, Dagorn was inducted as a Saké Samurai in a formal ceremony in a Shinto shrine outside Kyoto. 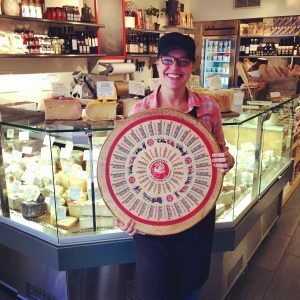 Stephanie Moshier is the assistant buyer and lead cheesemonger at Lucy’s Whey. In 2014 she began her journey as a cheesemonger. Steph had never worked in food retail, but she stumbled upon Lucy’s Whey as her neighborhood cheese shop and noticed a hiring notice. The only requirement was a love of cheese and a willingness to learn, which she possessed in great abundance! When Steph is not behind the counter spreading cheese knowledge, she’s curating the beer, ice cream, chocolate and grocery programs. In tandem, she holds a full-time role with the West Side Campaign Against Hunger, working as the Community Resource Counselor for the Mobile Food Pantry. Her dedication is unmatched and her love of cheese contagious. Originally from Indianapolis, Indiana, Steph is always rooting for small-batch cheeses from the midwest to make their way into the case. Lucy’s Whey is an artisanal cheese and provisions shop dedicated to creating an intimate food experience that educates, inspires and elevates small batch cheeses, charcuterie, craft beers, ciders, and signature prepared foods.